A spar finish is almost exactly like the interior polyurethane finishes we're all familiar with. It forms a shiny coating that protects the wood while accentuating the color and grain. The application is the same as with interior polyurethane too. The big difference between spar and interior poly is that spar stands up to exterior conditions. It's more elastic, so it's less likely to crack as wood shrinks and swells from moisture changes. It also protects wood from UV sunlight damage. Originally developed for boats, spar finishes are now used mostly for outdoor furniture and entry doors. You'll find spar finishes at home centers in gloss, semigloss and satin. A quart costs less than $20. Most formulas are oil based and labeled “spar urethane.” Minwax Helmsman Spar Urethane is one common brand. 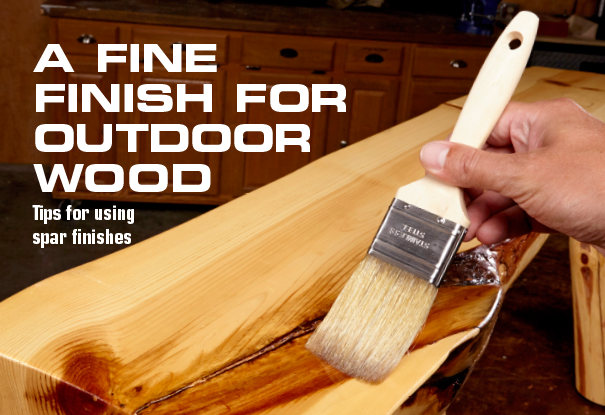 Get a perfect finish on even hard-to-stain woods like cherry and pine. Follow these four steps (no shortcuts!) and you'll get a perfect finish every time. 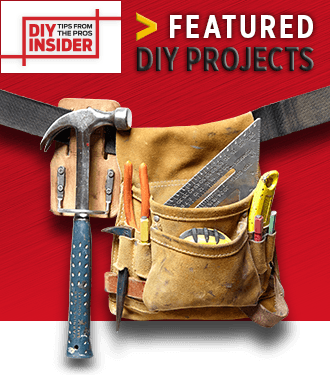 Rebuild and restore rotted wood without replacing it. © 2017 HOME SERVICE PUBLICATIONS, INC.